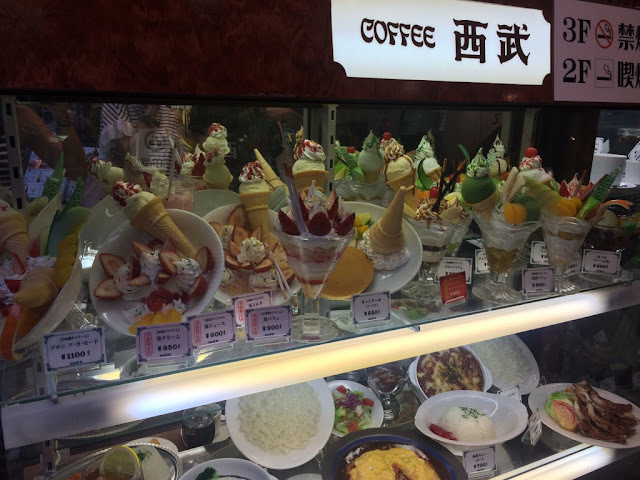 Oops, I meant to write this post on Japanese eats before Seoul, but now I'm just going to awkwardly stick it in here and pretend it belongs. As you saw, eating was a huge part of my trip to Japan (as it should be - Japanese food is the BEST). 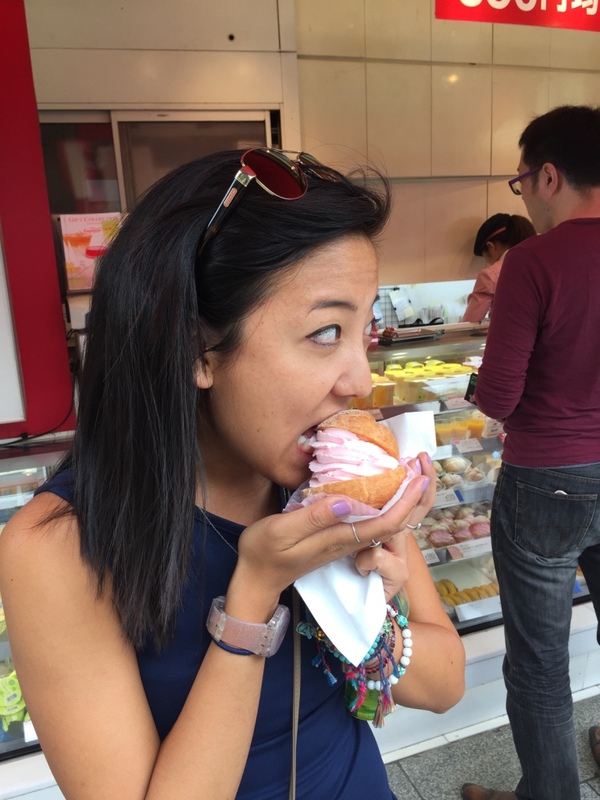 In fact, it was so important that I thought I'd write a separate post about it, because there are so many amazing, delicious things to nom here. Not to mention that sometimes people don't realize the wide range that Japanese cuisine covers, in addition to just sushi. 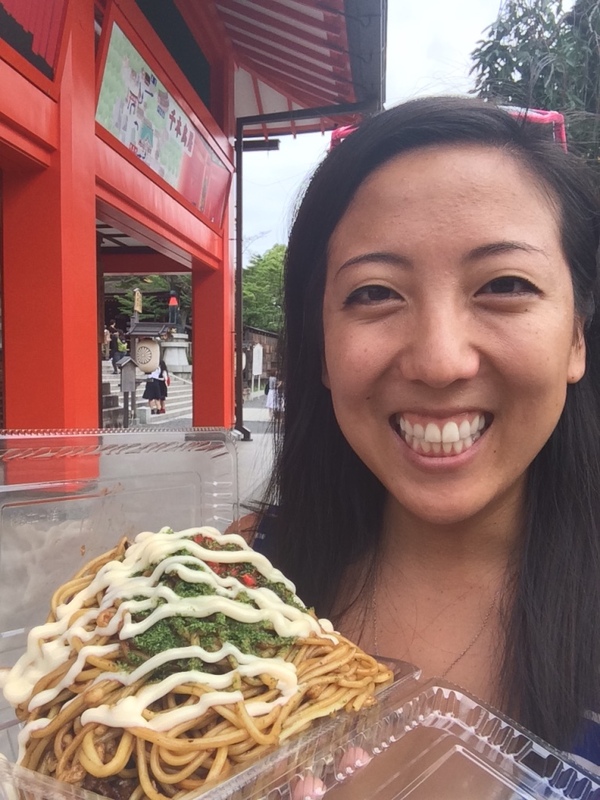 Nobody does noodles as delicious as the Japanese. 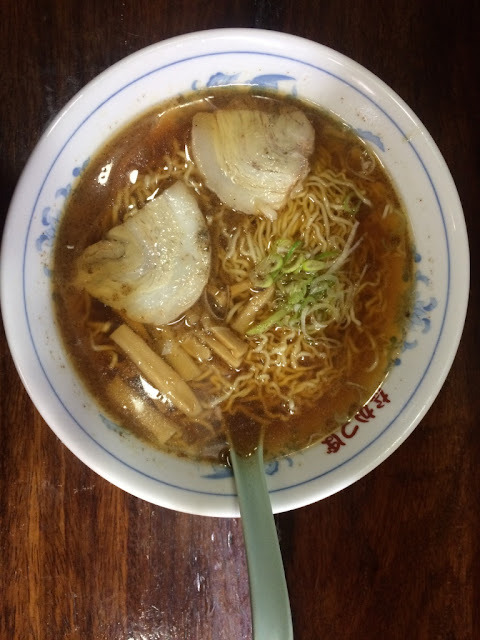 There's even specialties and varieties of ramen and soba that are dependent by region, with different noodles, broth, ingredients, etc. It's truly an art form. I've even been in one of those restaurants in Japan where you sit in singular cubicles, so you can truly focus on the ramen in front of you and its flavors, vs. having to speak to your friends & getting distracted by other things. Those things are not OK when your attention is supposed to be 100% focused on ramen, obviously. RAMEN. Complete with pork belly, scallions, bamboo shoots, and a soy sauce-based broth. 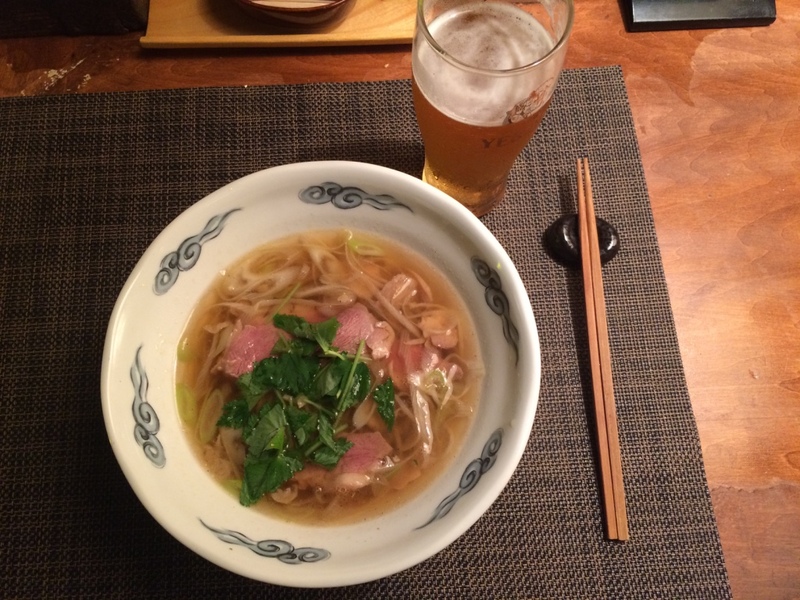 I'm sure you've seen this duck soba featured before, but DELISH. 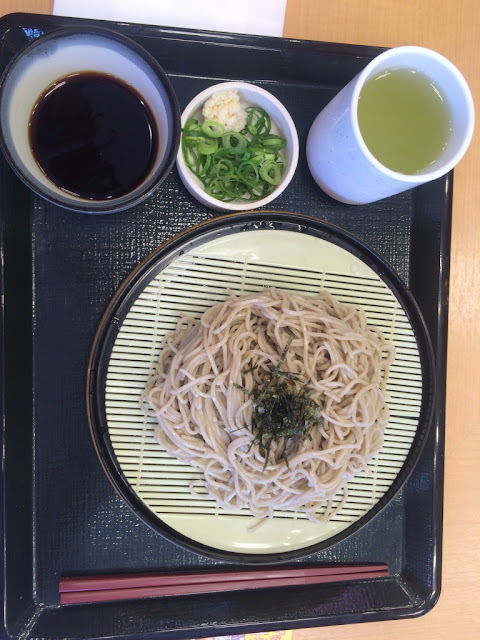 This is a form of cold soba called zaru soba (perfect for summer when it's a zillion degrees outside) - you get the cold noodles separate, which you dunk into the soba sauce and shovel into your mouth. It's incredibly delish. Tempura, when done right (i.e. when it has a light, flaky crust), is life-changing. 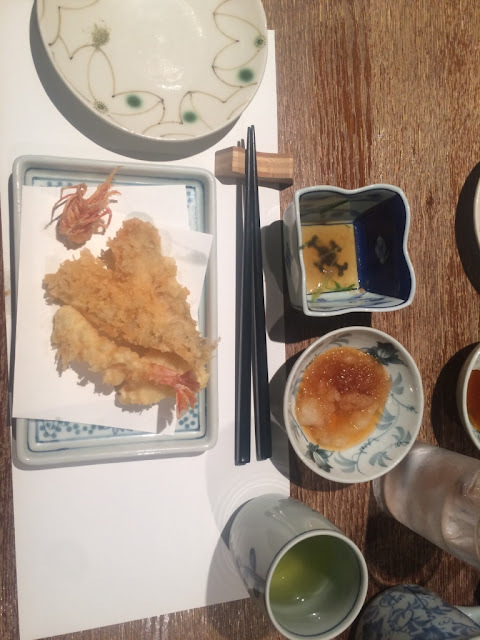 If you go to an actual tempura restaurant, you can do it up real fancy. 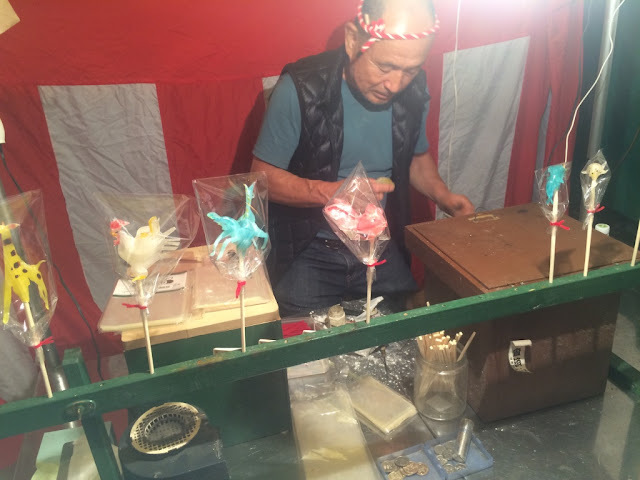 I went to one when I was in Tokyo, and it involved multiple courses (veggies were served separate from the seafood), and various methods of dippage (different kinds of flavored salts, sauces, and flavors). It was amazing. First course of tempura with my favorite, shrimp! 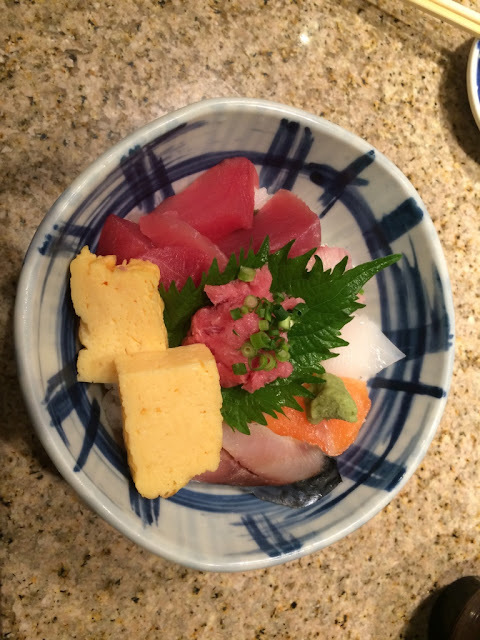 Meant to be dipped into the tempura sauce with ground radish on the right. Veggie tempura course! Often includes potato, some kind of cucumber, etc. I dipped these in a wasabi salt and it was the best. 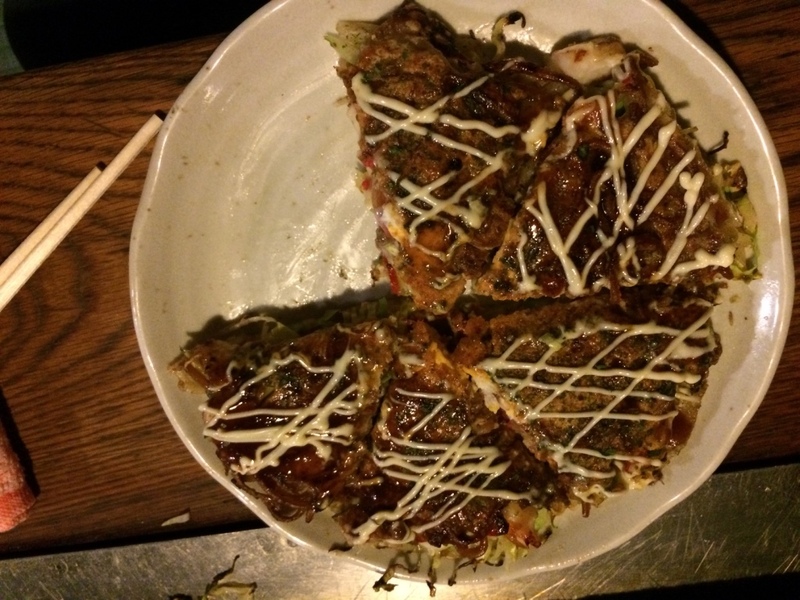 Okonomiyaki is like a Japanese pancake, but savory. These are one of my faves, and ingredients vary by location, but they are usually filled with a mixture of wheat batter, octopus, cabbage, ginger, pork, mayo, and sweet sauce. 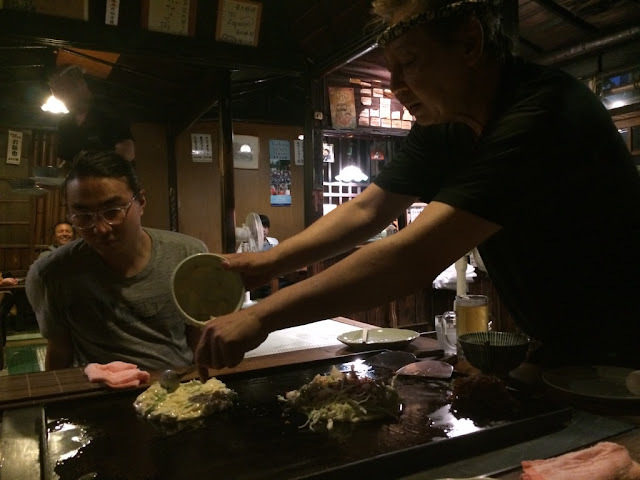 There are these great restaurants you can go to, where they cook them on a hibachi in front of you, or some where you can even cook your own. 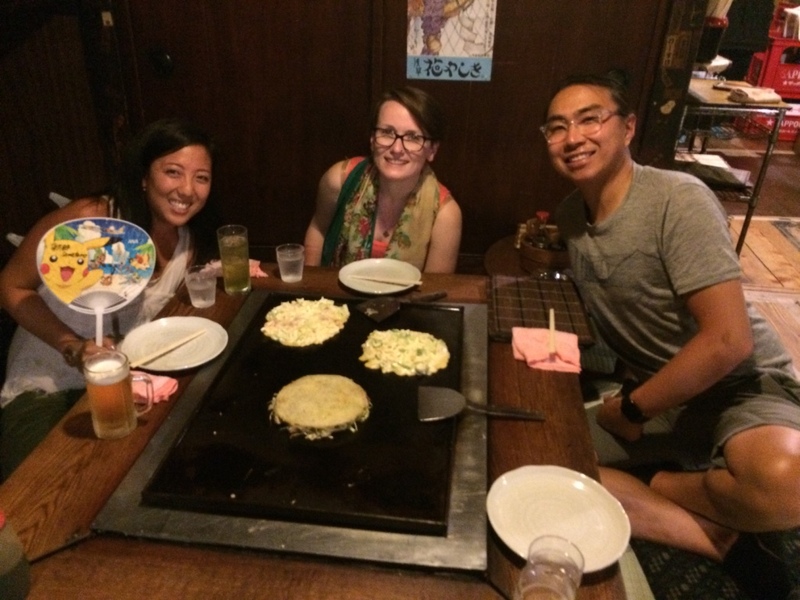 Mark, Kate and I went to an okonomiyaki resty in Tokyo. But the man cooked it for us. Because we clearly had zero idea what to do. Finished product - with a healthy drizzle of mayo. Which I could totally eat out of the bottle, confession. Japanese mayo tastes noticeably different than regular mayo - a little sweeter and creamier. 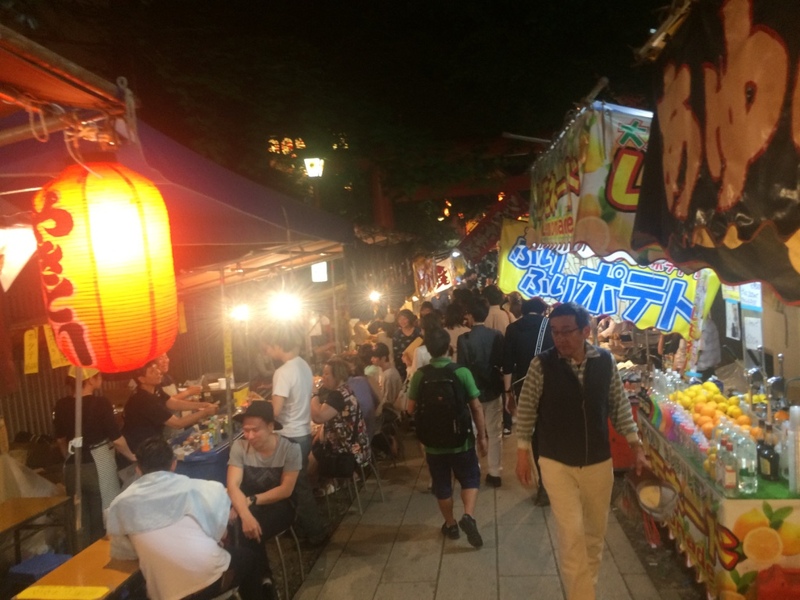 Ok, so this doesn't count as one particular food item, but somewhere along the way, you will absolutely run across Japanese food stalls - whether outside a tourist attraction, or in a small street food festival, or at a community event, etc. They often have the same delicious staples: yakisoba (fried noodles), takoyaki (octopus dough balls?? How do I make these sound as delicious as they are??? 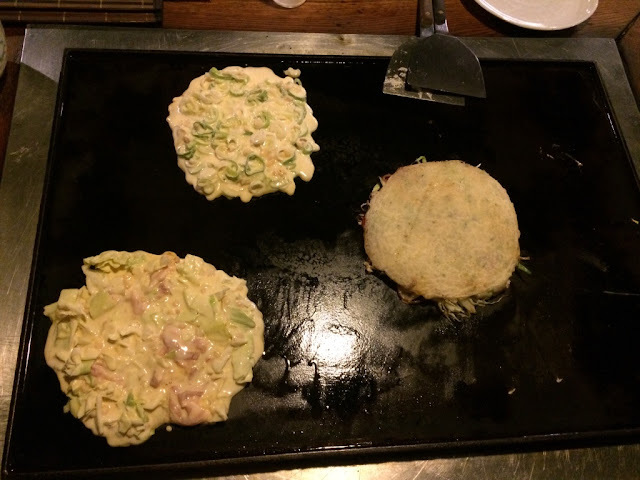 ), okonomiyaki (see above), yakiniku (meat on sticks), etc. etc. And DESSERTS. 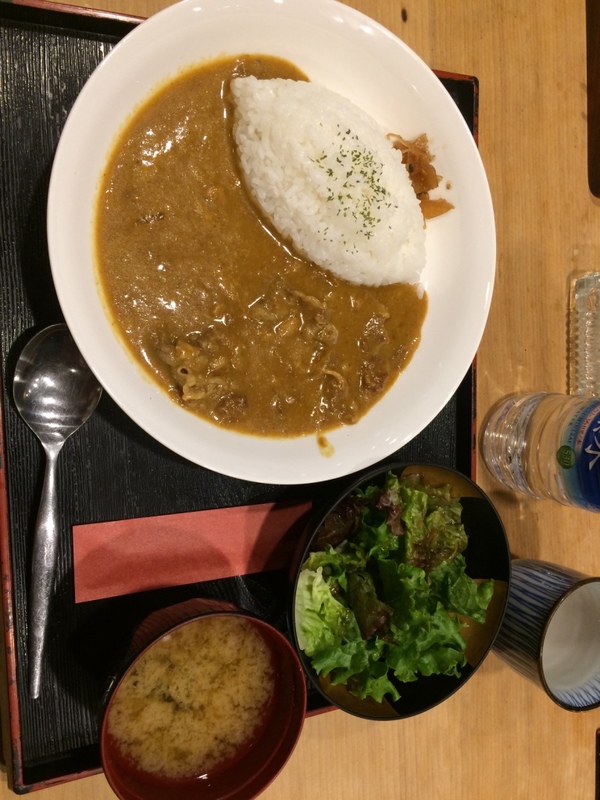 Have you ever had Japanese curry? Because you need to. It's much less thick, and browner (am I selling this properly), but it has a very particular taste to it. They usually pour it over rice like a sauce, and it usually involves potatoes and meat as well, with a side of pickled ginger. I love it. Of course. The main star. 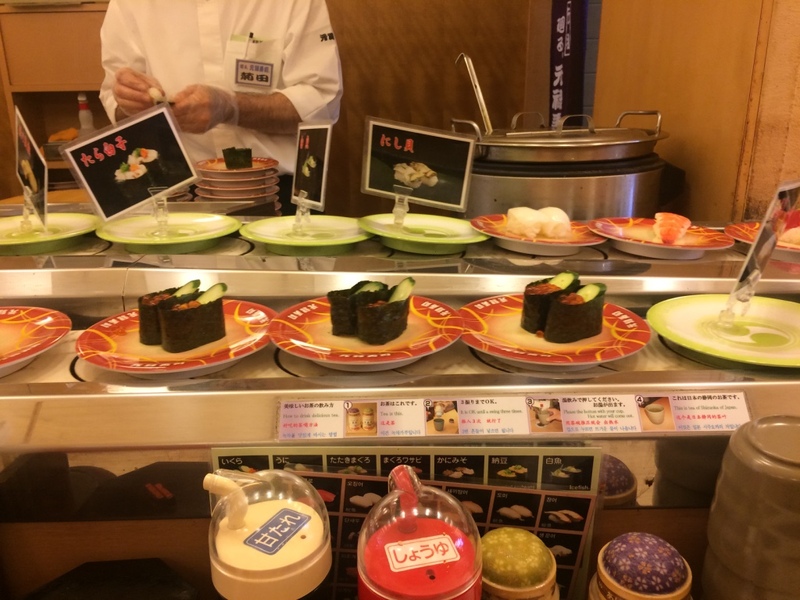 Japan is obviously the king of sushi, from the ultra-expensive swanky tasting menus in Tokyo's most intimate sushi bars, to the local cheap, quick, and easy conveyor belt sushi joints. 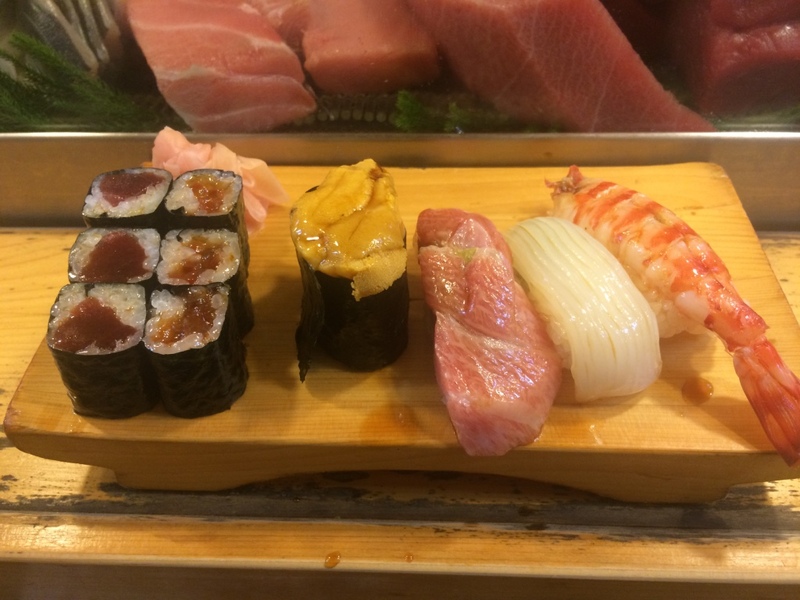 You can find the gamut of sushi everywhere, it's super available, and yes, it is more delish here than back home. 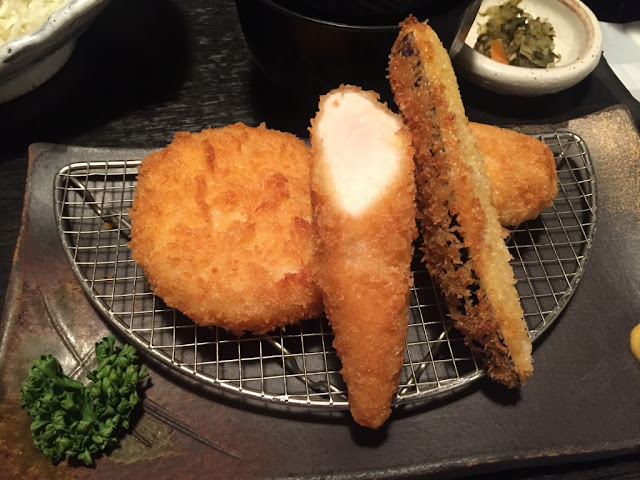 Lightly tempura deep-fried pork cutlets. Sometimes topped with an egg. And a side of cabbage. 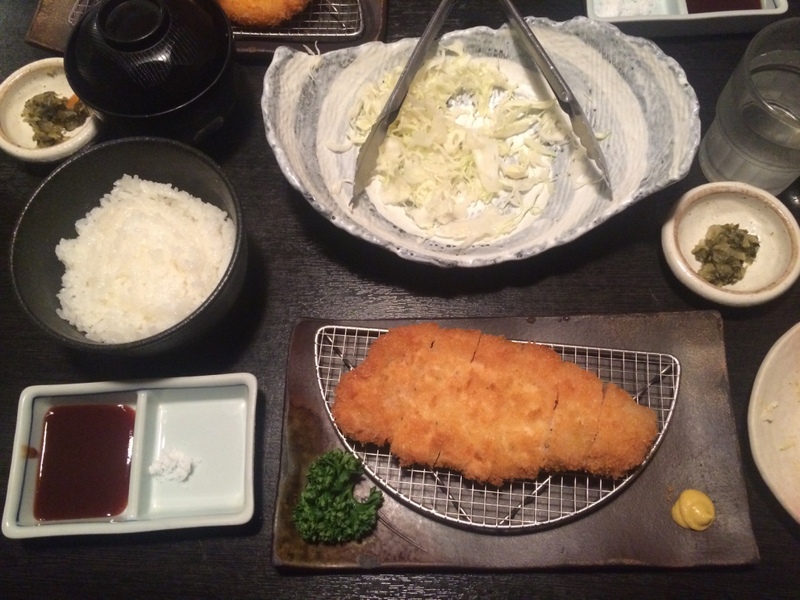 And then dipped in a special tonkatsu sauce (they have special sauces for everything here!). Yo. 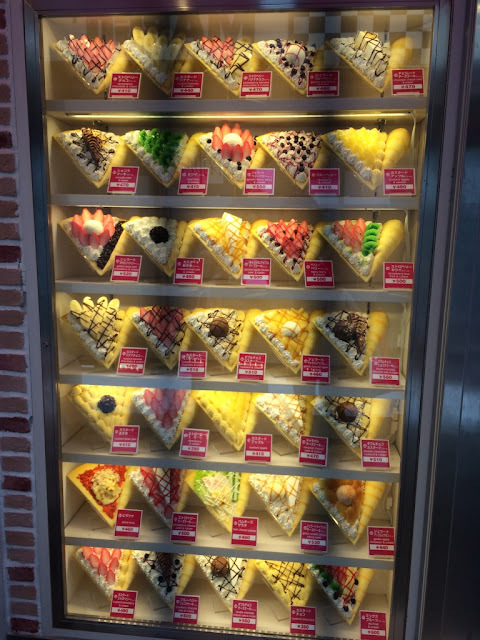 I know I keep gushing over every item, but Japanese desserts are on another LEVEL. These are the main culprit for making me fat when I studied abroad. 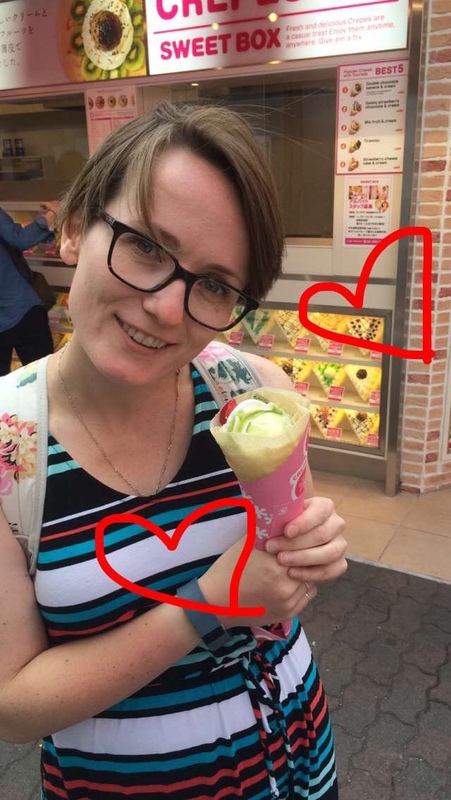 And in the 2.5 weeks I was in Japan this time around too. You all know who to blame. 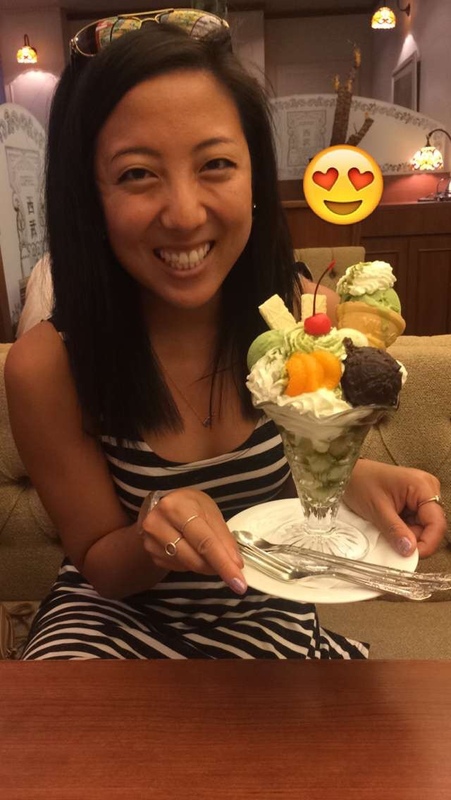 Here is said green tea ice cream parfait. Perfection. Contrary to belief, I was not running around Japan taking photos of every thing I was eating (ok lies. I was.) But there were things I def missed taking photos of that are more than mention-worthy. 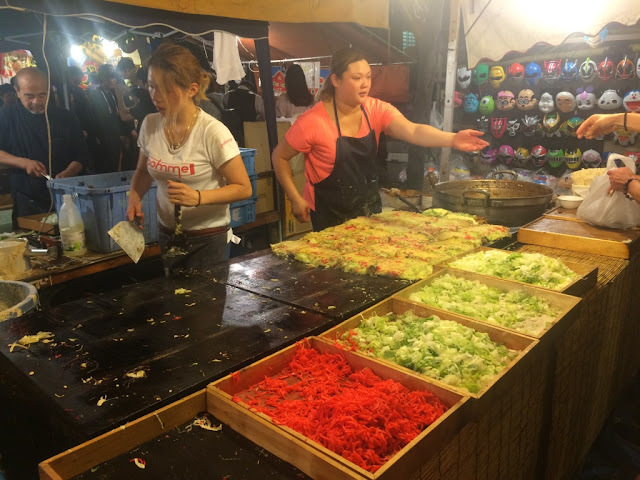 In fact, these are some other must-eats I haven't mentioned yet: sukiyaki (Japanese hotpot), Japanese BBQ (they marinate the meat and it's AMAZE), karage chicken (fried chicken), shabu-shabu (I don't know how this differs from sukiyaki, tbh), and so much more! 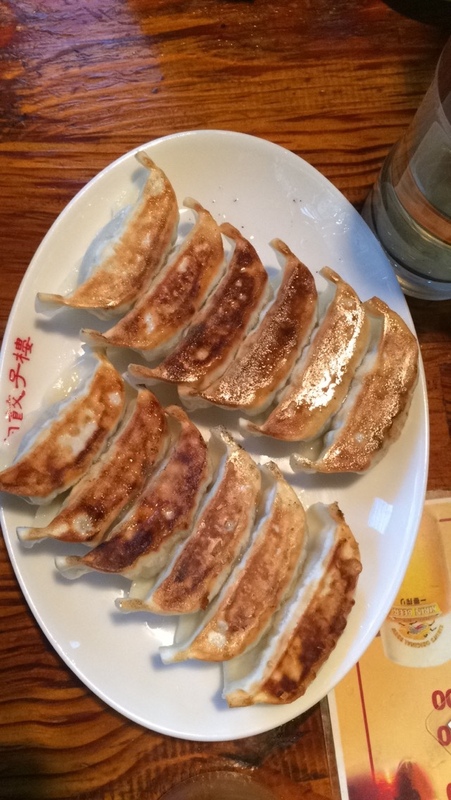 There are so many more foods that are region-specific, or variations on the items I've already mentioned. 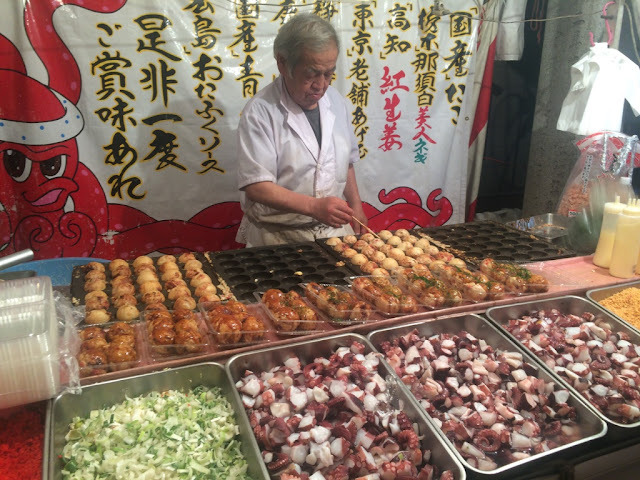 You could seriously eat your way through Japan. Also, go get yourself some udon. Again, no eating and walking. It's rude. But yes, it is also torture to be holding something delicious and not being able to eat it while you're walking. The struggle is real. No passing items between chopsticks. Also rude. You have to put it on the plate first, if you're trying to get a food item to someone else. It is bad form to stick your chopsticks standing up in your rice, as this symbolizes what you do at a grave - and it's bad juju.